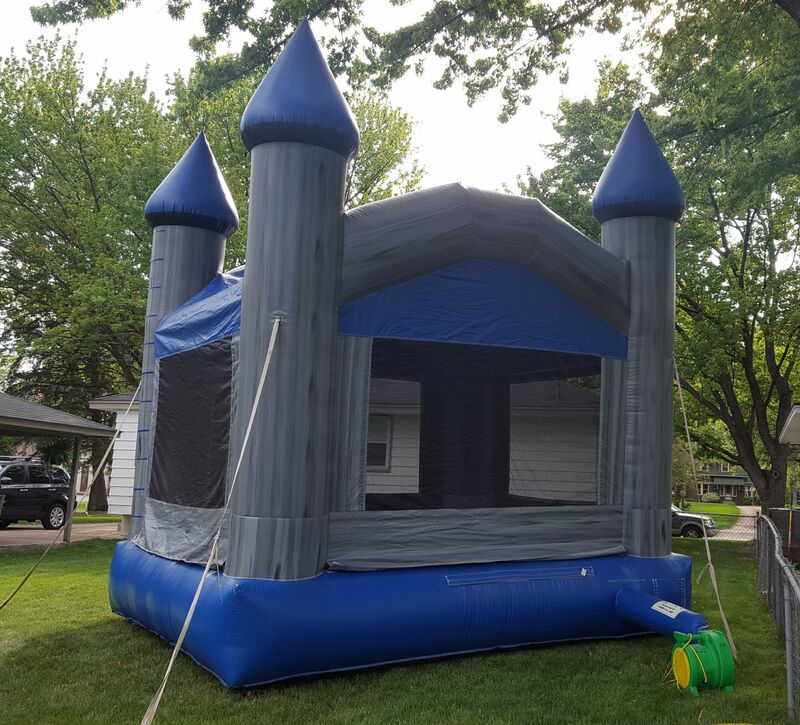 The Laughs-A-Lot Castle Bounce House is a perfect getaway for the knights and princesses in your home! 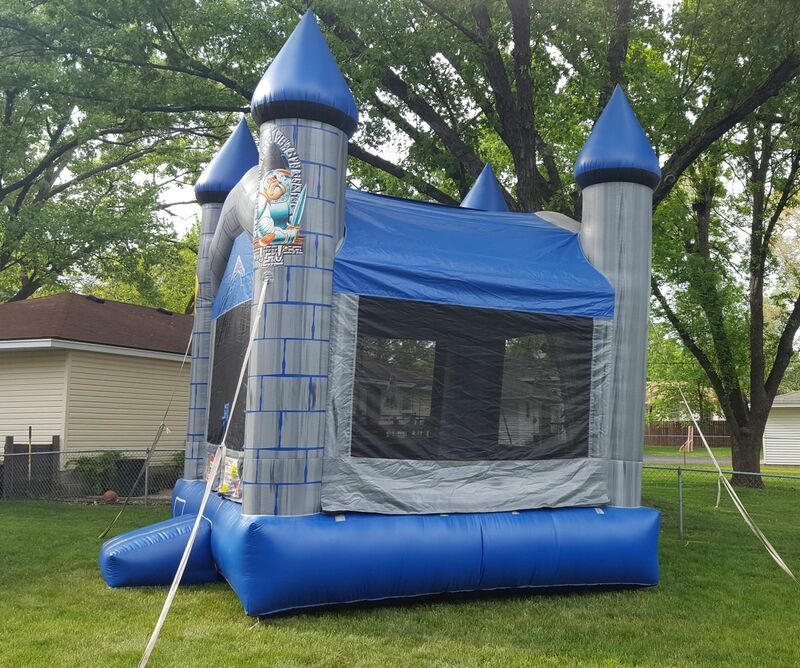 This castle bounce house is designed for active kids...both boys and girls alike! This bouncer has a large and spacious jumping area that can accommodate up to 8 participants at a time and an extra tall floor for even a greater bounce! It's colors are perfect to match any party theme whether in your backyard, school gym, or church fellowship hall. It features an inflatable safety ramp at the entrance to protect excited kids as they scramble to get inside the bouncer. The Laughs-A-Lot Castle Bounce House also has large netted vent windows that allow for fresh air-flow that keeps your active kids cool in the summer and also makes supervision of the activities inside the castle ward a breeze! There is a tiered covered roof that provides shade over the entire bounce house. 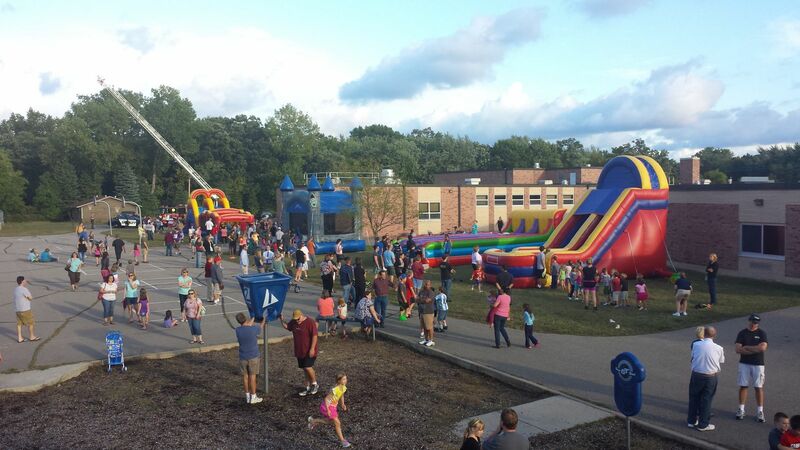 To top it off, there are four spiked castle towers soaring overhead as the excited kids jump inside!